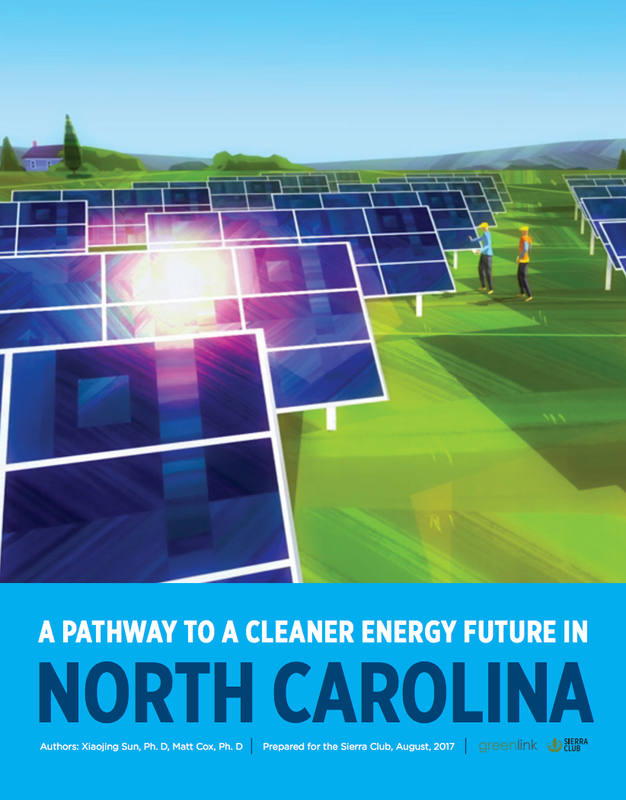 We have completed a study commissioned by the North Carolina chapter of Sierra Club and we used Greenlink’s propriety electricity system model to analyze the demand and supply dynamics, as well as the economic, environmental, and public health benefits associated with clean energy. In particular, we looked at if it is possible to retire all the coal plants in North Carolina within the next 10 years and still maintain the reliability of the grid. North Carolina could retire every coal plant and avoid building new gas plants while reliably meeting communities’ energy needs through clean resources, such as energy efficiency, wind and solar. Residential customers would save an average of $101/year on their electric bills if we went in this direction. Non-residential customers would save an average of $611/year. The cleaner energy plan would reduce every major pollutant associated with electricity generation, including carbon, sulfur and nitrogen dioxides. Shifting North Carolina’s energy plan in this direction would save 1,200 lives between now and 2028, and reduce missed work days because of illness by 93,262 days (that’s more than 255 YEARS of productivity re-gained, for those keeping track at home!). North Carolina would gain between 109,000 and 157,000 additional jobs compared to Duke Energy’s business-as-usual plan. In fact, jobs, incomes and state level GDP would all increase under this plan. To see how all of this works out interact with the map below.